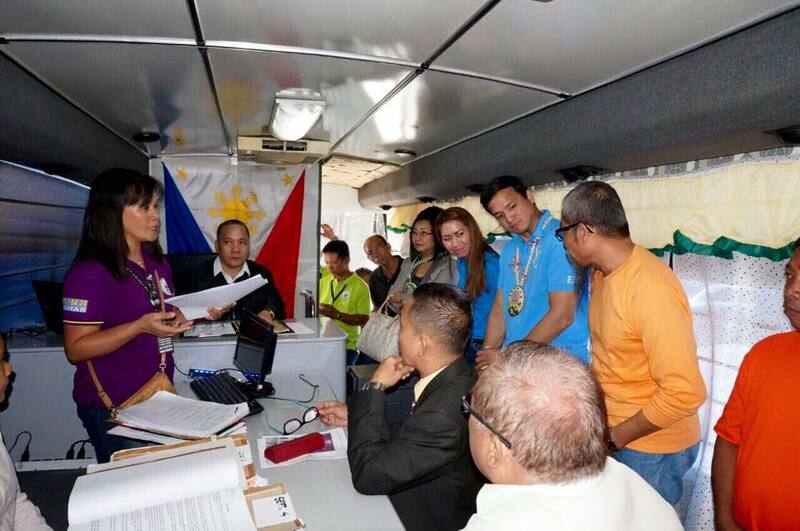 Samar Governor Sharee Ann Tan (3rd from right) talks to the accused (right) who was released from detention by the trial court inside the Justice on Wheels in Samar as Court Administrator Jose Midas Marquez (2nd from right) and Deputy Court Administrator Thelma Bahia (4th from right) look on. 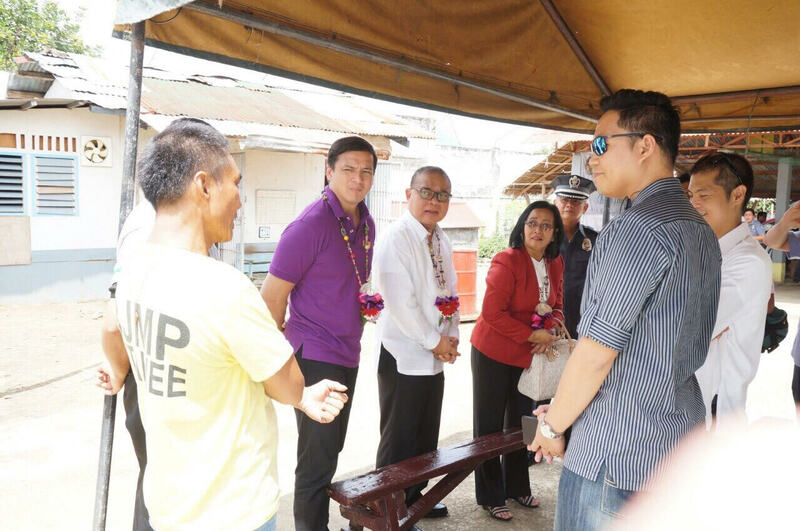 Enhanced Justice on Wheels visits Ormoc City. 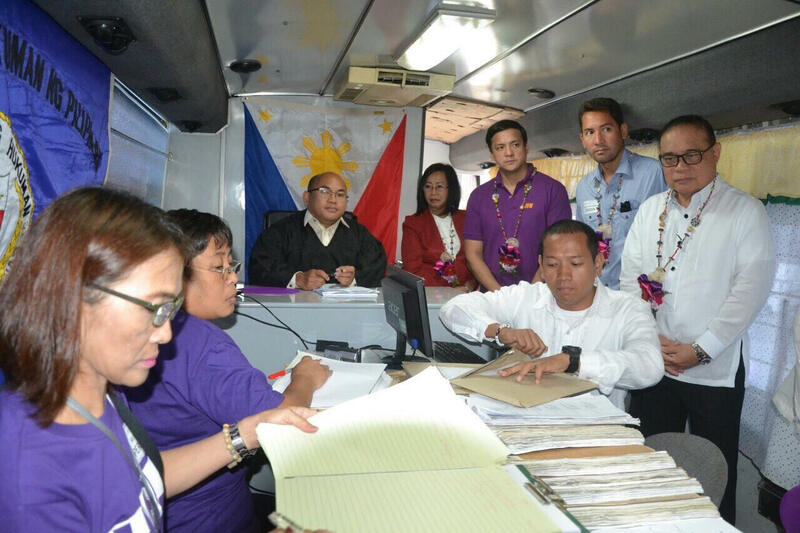 A court hearing is held inside the Justice on Wheels presided by Ormoc City Regional Trial Court Executive Judge Clifton Nuevo and witnessed by (from left to right) Deputy Court Administrator Thelma Bahia, Court Administrator Jose Midas P. Marquez, Supreme Court Justice Mariano Del Castillo and Ormoc City Vice Mayor Leo Locsin. At least 28 detainees were released as of press time. 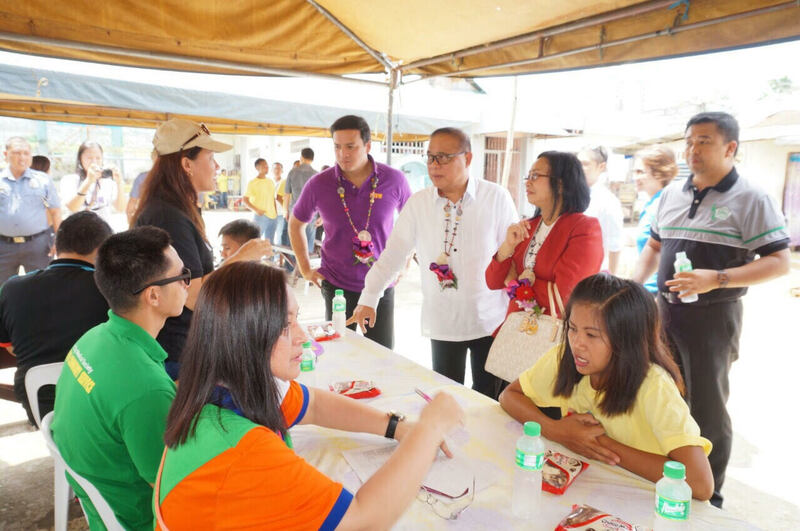 Court Administrator Jose Midas P. Marquez, Supreme Court Justice Mariano C. Del Castillo, and Deputy Court Administrator Thelma C. Bahia talk with doctor volunteers conducting medical assistance in the Ormoc City Jail during the Enhanced Justice on Wheels in Ormoc City. At least 28 detainees were released as of press time. Court Administrator Jose Midas P. Marquez, Supreme Court Justice Mariano C. Del Castillo, and Deputy Court Administrator Thelma C. Bahia talk with inmates of the Ormoc City Jail during the Enhanced Justice on Wheels in Ormoc City.